Code regarding the protection of personal data for the site www.sitindustrievalvometal.com and for processing activities in their seats in the conduct of its activities. SITINDUSTRIE VALVOMETAL respect of the legislation on protection of personal data (Legislative Decree 196/03) and informed that personal data provided by the parties concerned through the various collection channels, directly or indirectly managed by the Owner, or acquired from third parties in accordance with legal conditions, they will be treated lawfully and fairly, in accordance with the principles of Legislative Decree no. 196/2003. The data controller is Parvin Afsar, Company Managing Director. SITINDUSTRIE VALVOMETAL in the data about you will be processed by personnel under the direct authority of the Head of treatment. The updated list of the data processors is available for consultation at the head office. Besides give SITINDUSTRIE VALVOMETAL employees, the treatment of personal data can also be made by third parties, to which the company entrusts certain activities (or part thereof) or instrumental to the performance of the treatments or the provision of services offered. In such cases, the subjects will operate as autonomous owners, co-owners, or will be appointed or treatment. If users / visitors connecting to these sites or by any other form of written or verbal communication, send their personal data to access certain services or to make requests via e-mail, you will have the acquisition of such data by SITINDUSTRIE VALVOMETAL and / or third parties together with such SITINDUSTRIE VALVOMETAL could provide the service requested by the user / visitor; such information will be used exclusively to respond to the request, or for the provision of the service in accordance with this Policy. The personal data expressly conferred by users / visitors will be communicated to third parties only if the disclosure is necessary to comply with requests from users / visitors themselves. 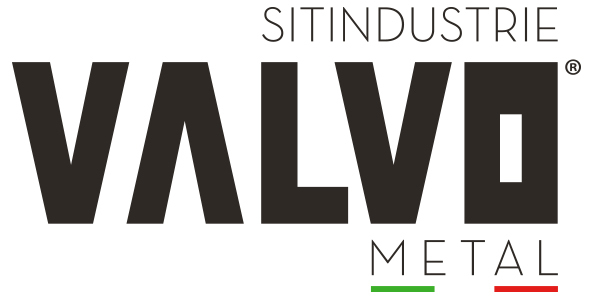 Your data are treated by SITINDUSTRIE VALVOMETAL, for sending the request newsletters, as well as, if desired, to inform about our initiatives, activities and projects. The data will be processed, mainly electronic and computer systems and statistical analysis methods, exclusively from our association and are in charge of services related to the above; They will not be disclosed or disseminated or transferred abroad, and will be subjected to appropriate security procedures. Your data are processed for those purposes the bodies in charge to data processing and information systems, the technical management of the site, the construction operations and sending newsletter. Under Article. 7, d. Decree 196/2003, you can exercise your rights to consult, modify, delete data or oppose their processing for the purposes of sending information by contacting the Data Controller by writing to e-mail info@sitindustrievalvometal.com at which it is available, on request, a list of controllers. The data may be disclosed to parties operating within the European Union, or countries that provide the same level of protection provided by Legislative Decree no. 196/2003 or, more generally, from the Directive EC / 95/46. Since SITINDUSTRIE VALVOMETAL may decide to operate at supranational level, the data processing work in the various countries will be adapted with the strictest regulations in order to ensure in all cases the maximum level of respect of the data protection. They may be transferred to third parties, even in return for payment, if the person concerned has issued express consent, for purposes directly or indirectly related to the activity of the owner. The treatment will be carried out over the term of the main report, in compliance with the regulatory provisions governing the preservation of records and documents, and, where specifically authorized, to allow the establishment of future relations and to ensure the data history, even in ‘interest of the client. organization of the Holder in the context, the data subject’s data may be processed by the various organizational functions. You can exercise your rights under art. 7 of Legislative Decree no. 196/03, addressing to the controller by sending an email to the email address or writing to info@sitindustrievalvometal.com SITINDUSTRIE VALVOMETAL, Via Per Cuggiono, 7 – 20022 Castano Primo (MI) – Italy.